Edwin Clark University school fees schedule for the 2016/2017 academic session as released by the management. Authorities of the Edwin Clark University have released the amount payable as school fees by the undergraduates of the institution for the 2016/2017 academic session. Edwin Clark University School Fees Schedule. Replacement of ID card- Cost per replacement. 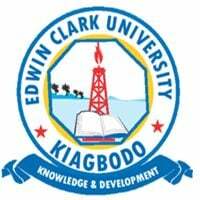 Edwin Clark University Student Fees are due in two equal installments by the beginning of the First Semester and the beginning of the Second Semester. Parents/Sponsors can pay any amount as many times as their cash flow permits, such that by the due date which is the beginning of each semester, Parents/Sponsors would have paid a total amount equal to 50% of the total fees as applicable to the Student Program of Study. However, Parents/Sponsors who are able to pay up the total fees at once are welcome to do so.